December anywhere north of the Equator signals the definitive end to shorts and t-shirts and a time for sleeves and boots. However, if you’re planning a trip to Niagara Falls, having the appropriate clothing is crucial to having a good time exploring the city and surrounds. More often than not, vacationers cram as much as they can into their suitcases in anticipation of every climate contingency and barely wear half of what they bring. If you’re struggling to pack your suitcase for Niagara’s winter weather, read on for tips and tricks to fill your suitcase with clothes you’ll actually use. Most travelers liken Niagara Falls to a real-life winter wonderland, as the chilly climate transforms the landscape into a glittering and gleaming world. 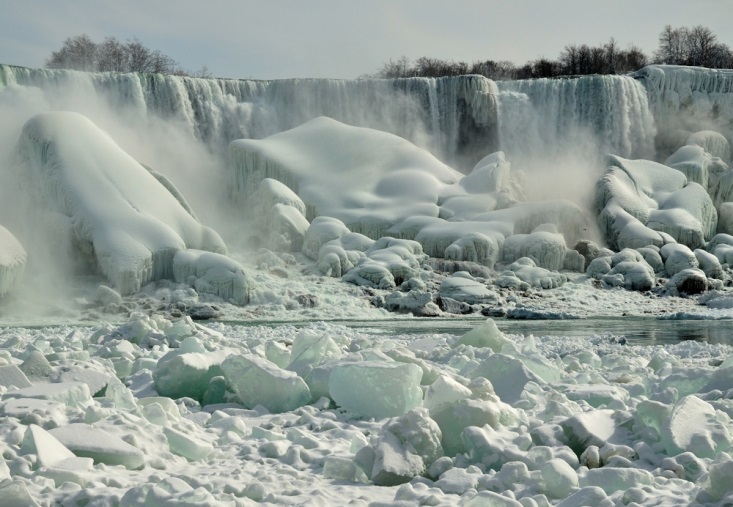 The Niagara River usually freezes solid, and ice forms all around the city and surrounding region, creating dramatic natural sculptures and excellent sight-seeing. While snow does fall — around 50 inches, on average — the rushing falls warm the air enough to prevent snow from becoming prohibitive, meaning it remains easy to get around the city and surrounding regions. 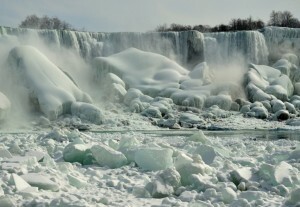 Winter tends to get windy around Niagara Falls, which makes the air nip at exposed noses and fingers. The actual temperature lingers around the freezing point during the day, with temperatures dropping sharply when the sun sets. Winter clothes are going to be bulky and heavy, which means it’s more important than ever you consider what exactly is going into your suitcase. Make sure you don’t procrastinate packing for any winter vacation, and follow these tips as you plan what to bring. Invest in light and warm clothing. Outdoors retailers are filled with clothes to keep backpackers dry and warm in any climate. Because backpackers don’t have much space to carry everything they need in the wilderness, this clothing tends to be thin and lightweight while incredibly insulating. Wear bulky items instead of packing them. Your heavy boots and puffy winter jacket probably won’t fit in your suitcase, but that doesn’t mean you can’t take them with you. In fact, the bulkiest items will likely be incredibly useful during cold Niagara nights exploring the Winter Festival of Lights. These items can be worn on the plane or in the car and save you crucial inches or pounds in your suitcase. Use compression bags. Sometimes called vacuum-seal bags or space bags, any container that can be made smaller through suction can easily be adapted for use in travel. You can pick and choose what items you need compressed; it might be wise to separate your outfits into different packages, or organize parcels of bottoms, tops, and miscellaneous items. Niagara has a mild winter in comparison to regions of Canada even 20 miles away. However, if you don’t pack right, you’ll be left in the cold — literally.